Lisa Marie Chambers grew up in the Chicagoland area and is a proud Midwesterner. She attended undergrad and graduate school at Purdue University and attended law school at Valparaiso University in Indiana. Lisa Marie finds enormous satisfaction in guiding clients through the legal process with compassion, patience, empathy and a well-placed sense of humor. In her work as a domestic and bankruptcy attorney, she has seen hundreds of clients come to her with stress, heartbreak and fear and she has been honored to help them start new chapters in their lives. 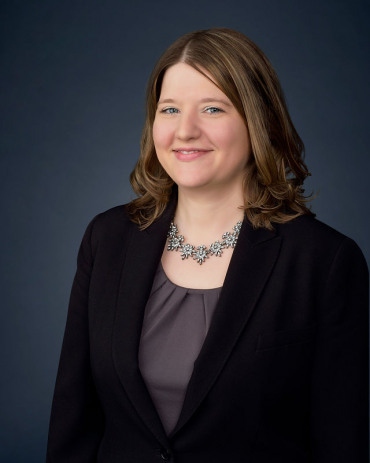 In law school, Lisa Marie worked as a legal clerk at the Senior Law Project at Indiana Legal Services and practiced family law at her school’s legal clinic. Due to these experiences, Lisa Marie left law school with significant family law and courtroom experience. Lisa Marie has practiced family law and bankruptcy in the Atlanta metro area since 2010. In her free time, Lisa Marie enjoys running, art, reading, cooking, photography, music, and Cubs baseball. She lives with her family in Gwinnett County.